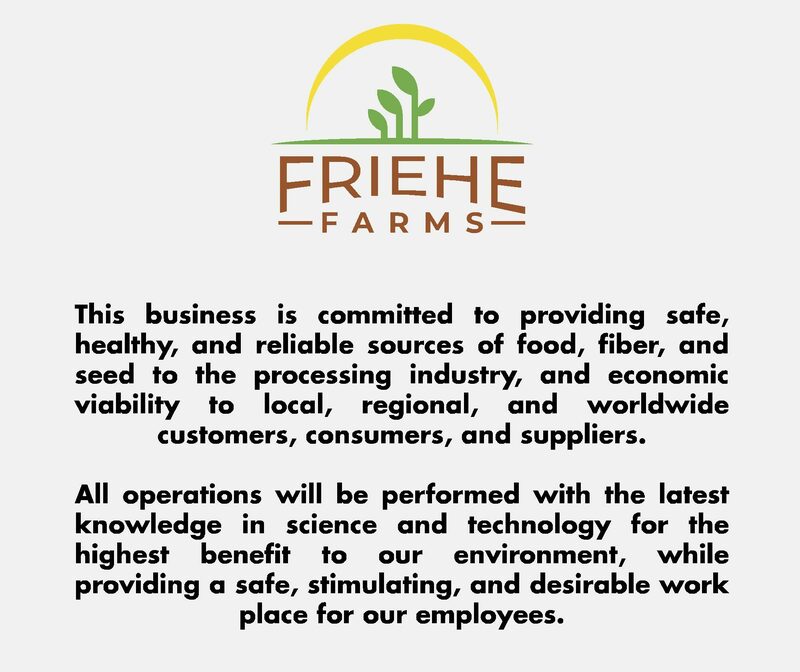 Friehe Farms is a large family owned farm located 9 miles east of Moses Lake, Washington. The farm is located on the eastern side of the Columbia Basin Irrigation project. The entire farm is irrigated using waters from the Columbia River as well as water from the Odessa Aquifer. We currently produce potatoes and sweetcorn for the processing industry as well as bluegrass and dark northern spring wheat. Our team of employees uses the latest most advanced technologies and the best management practices to produce the best most sustainable crops while minimizing our environmental impact. Friehe farms believes that a strong business model can go hand in hand with sound environmental practices.The area we farm covers a 3 county area which encompasses Grant, Adams and Lincoln counties.